Be the first to share your favorite memory, photo or story of Dr. Albert. This memorial page is dedicated for family, friends and future generations to celebrate the life of their loved one. Dr. Albert Chase Batchelder, age 91, of Faribault, died on Monday, February 4, 2019, at Homestead Hospice House, Owatonna. Funeral services will be held on Saturday, February 9, 2019, at 2:00 p.m. at The Cathedral of Our Merciful Saviour, Faribault, with the Reverend Henry L. Doyle officiating. Private interment will be at Oak Ridge Cemetery, Faribault. Military rites will be provided by Central Veterans Association of Faribault. Visitation will be held at the Cathedral of Our Merciful Saviour for one hour prior to the service on Saturday. Albert Chase, the son of Chase and Edith “Poppy” (Olin) Batchelder, was born April 22, 1927, in Faribault. Albert served his country in the United States Navy and Army. On February 20, 1956, Albert was united in marriage to Janet Mangham in Faribault. 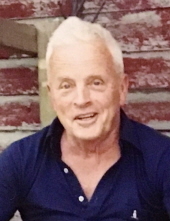 He worked at the Faribault Veterinary Clinic, where he was a founding partner, and the Faribault Animal Center as a Doctor of Veterinary Medicine. Albert served on the Chapter of The Cathedral, was a member of the St. James School Board, served on the Security Bank board of directors and was a past president of the Faribault Hockey Association. He loved his work as a veterinarian and visiting the farms and families in the community. Survivors include his wife, Jan; sons, James (and Gayl) Batchelder of Lakeville, and their children, Cassie (and Weston) Merrick of Minneapolis and Becca (and fiancé, Chris Savageau) Batchelder of Bloomington; David (and special friend, Joyce Ito) of Phoenix, AZ, and children, Sarah Batchelder of Des Moines, IA, Katie Batchelder of Phoenix, AZ, Christopher (and special friend, Megan Bovaird) Batchelder of Phoenix, AZ, and their son, Ashton Batchelder; Dr. Andrew (and Cara Elston) Batchelder of Spokane, WA, and their children, Robert, Emily, Joseph and James Batchelder all of Spokane, WA; Stephen Batchelder of Phoenix, AZ; and Peter Batchelder of Milwaukee, WI; sister, Edith Elliot of Canton, TX; brothers, Chris (and Kay) Batchelder of Rochester, Kelsey (and Marla) Batchelder of New York, NY, and John (and Joyce) Batchelder of Mason, OH; cousin, Fritz (and Carol) Kramer of Newton, IA; in-laws, Patricia Jones of Horncastle, England, Gill (and John) Whitworth of Saxilby, England; Orvella Batchelder of Roseville and Joan (and friend, Jerry Lambert) Batchelder of Faribault; and numerous nieces and nephews. Albert was preceded in death by his parents, Chase and Poppy Batchelder; one sister, Jane Reynolds; two brothers, Charles Batchelder and Mark Batchelder; and in-laws, Reg and Phyllis Mangham and Jim Jones. "Email Address" would like to share the life celebration of Dr. Albert Chase Batchelder. Click on the "link" to go to share a favorite memory or leave a condolence message for the family.